Was out and about in the CBD early on a Saturday morning (no I didn't stay out and party all Friday night, and no I wasn't hungover). 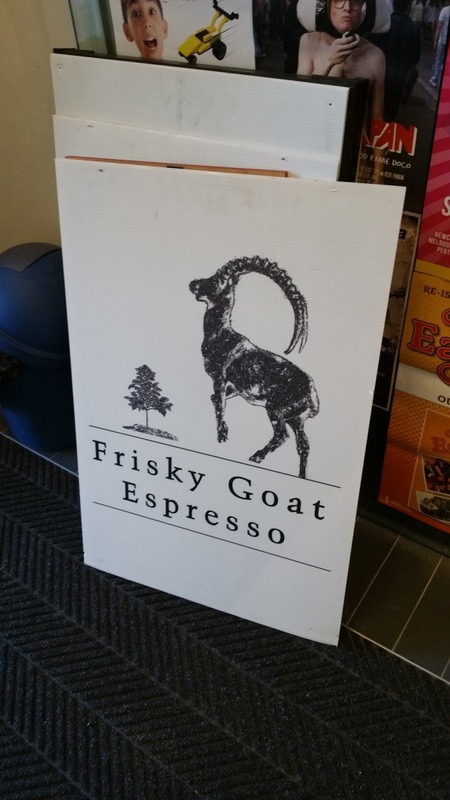 Remembered that a friend recommended the coffees at Frisky Goat, and being early to an appointment, I dropped in to give it a shot. Having recently relocated, it proved harder to find than I would have expected. 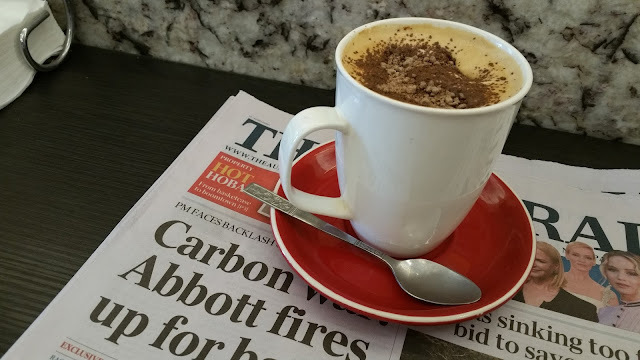 Ordering a cappuccino from the counter, it came out quite quickly in a mug. 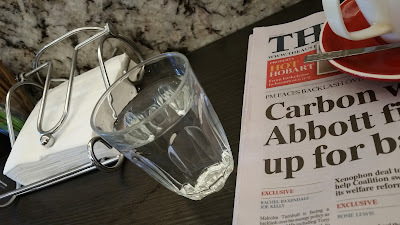 Service was exceptionally friendly and I was very pleased to be brought out a glass of water by staff, a friendly touch that not many other cafes bother to do. The coffee itself was quite strong, and the milk too was very strong in taste with an almost cheesiness to it, although it wasn't particularly rich and smooth as I would have preferred. It was served very hot and there was also an ample amount of chocolate on top. I quite enjoyed it.